I’ve noticed that many people have many issues with set up of SSL for SOLR instance. In this blog post you will find everything what you need to know to do this. Just follow all steps which you will find below. then extract files into (you can choose different directory if you want). After form submission you should see new service on the list of services (Windows > Run > Services) . If your service is not running – just run it from services windows – it will start automatically after restart. you will find keytool.exe which will generate certificates for you (you might have different path – depends on version of JRE). & 'C:\Program Files (x86)\Java\jre1.8.0_141\bin\keytool.exe' -genkeypair -alias solr-ssl -keyalg RSA -keysize 2048 -keypass secret -storepass secret -validity 9999 -keystore solr-ssl.keystore.jks -ext SAN=DNS:localhost,IP:127.0.0.1 -dname "CN=localhost, OU=Organizational Unit, O=Organization, L=Location, ST=State, C=Country"
You should notice that we have got there keypass equal to “secret” which can be changed on local, and should be changed on other environments. You will be asked few times for password – use “secret” or your own. Opem “Windows > Run > mmc” and manage certificates. Import created certificate to the list of trusted ones. To test if it works you need to restart yours SOLR service. After restart SOLR will not longer work with http protocol – so you need to go into “https://localhost:662/solr” to check how your SSL works. 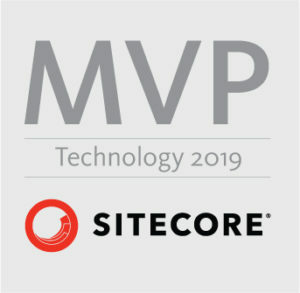 And now you are ready to install Sitecore 9 and xConnect. Have a good fun with it!